our founder, Cindee Rood, has traveled throughout the world - 62 countries & counting. many of her travels have been on behalf of various charities. 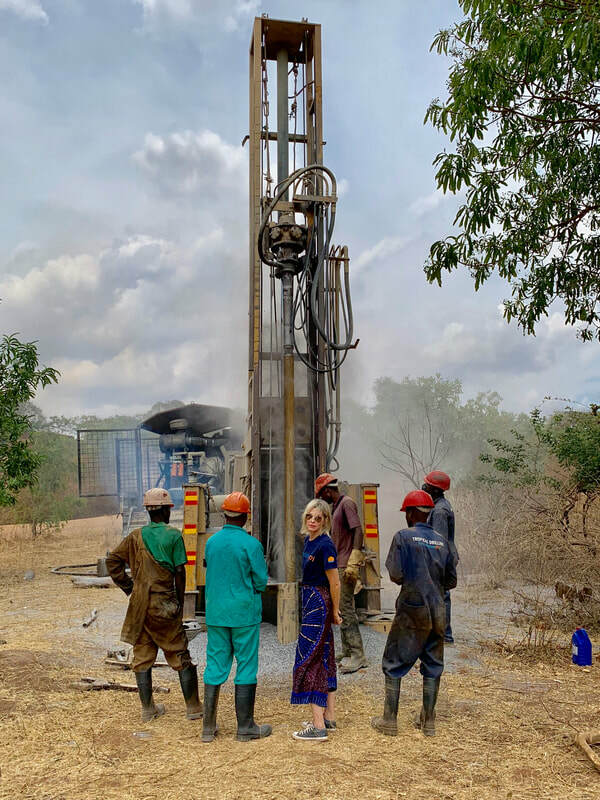 she found that the simplest solution & most cost-effective way to improve the health and overall quality of life for people is to provide communities access to clean water. to date, she has spearheaded and completed 60 water projects in 16 districts throughout Malawi - from remote villages to primary & pre-schools to health centers. Mercy James Centre - the only state-of-the-art pediatric hospital in the country. ​...and she is just getting started! UNICEF (chair of the Southern California Speakers Series Committee), Cambodian Children's Fund, Rotary Beverly Hills (member of International Committee) & Freedom to Choose Project. 6 our founder, Cindee Rood, has traveled throughout the world - 62 countries & counting. the love of Malawi all began with this ONE little girl! Shyreen stole Cindee's heart the first day they met, while she was volunteering at her orphanage. meeting Shyreen inspired her and called her to keep coming back. thanks to this ONE little girl, and YOU...so many more children will be impacted. Cindee travels to Malawi four times a year. each trip she returns to the orphanage to see Shyreen.